Usually when I write articles it’s to help out as many people as I can by answering a question that applies to a lot of people. Today, though, I’m going to answer a question that applies to zero real people and one fictional superhero. If I had a boss that I had to explain stuff to maybe I’d say that it was useful to write out this training program as a thought experiment to prepare myself for a similar situation in the future, but it seems very unlikely that I would ever have a client in this situation. In The Dark Knight Rises, starring Christian Bale, the exercise program he adopts is poor for his goals. I’m going to rectify that. In The Dark Knight Rises, Batman has his back broken (looks like somewhere between T8 and L1, but it’s not very clear) by the bad guy Bane. Bane then stashes Batman in a weird prison where escape is possible, but only for those willing to risk a dangerous climb and jump. Batman makes this climb and jump because he is Batman and that’s how movies work, but he has no reason to thank his training. Batman receives some very painful looking chiropractic treatment, does pushups, pullups, and crunches. He also does some pretty solid self motivation and sports psychology work that I have no issue with. He clearly needs to work on explosive jumping strength and his grip strength, while also strengthening up his back. I fully support him working on pushups, pullups, and crunches but feel like the two primary things he needs, explosive jumping and grip work, are being neglected. He has unlimited time to train throughout the day, so the length of the workout isn’t that relevant. It’s also imperative that I get him results quickly, but I usually try to get people results quickly, so that doesn’t really change anything. He doesn’t have access to any strength training equipment. Dynamic Warmup– he’s going to be working pretty vigorously, and has some issues with his joints. Obviously he’s had his back broken recently, but he also has knee issues. Getting very loose prior to the workout is key. Explosive Leg Work– he doesn’t have any weights, but he has two old guys helping him out. He could throw one of them over his shoulders and add a little resistance to his squat work. The two of them together would probably provide a significant enough load to challenge him enough to elicit a training effect. He also has access to stairs. Jumping onto the stairs and landing softly will decrease the amount of force going into the knees (this is why boxes exist for box jumps). Taking a page out of Verkoshansky’s book, I would have Batman superset squatting the old men for sets of 3 with jumps onto the stairs. I would also have him do some depth jumps off of the stairs depending on how his knees were holding up. Grip Work– I like the pull ups Bruce was doing, but I would have him do more for his grip. Weighted hangs, fingertip pushups, pullups with limited fingers on the bar. He has clothes he could wrap around the bar to do some fat grip training on the bars as well. Core Work– He’s recently had some severe issues with his back; crunches are not the first place I would start. Like with many of my clients, I would have him work on planks and plank variations hard. Additionally, after he makes that jump he’s going to need to pull himself up onto the ledge. The simplest way to do that would be to swing his legs up to it, so a variety of hanging abdominal exercises would also be prescribed. This would also help out my goal of increasing Batman’s grip strength. So there you have it. That’s what I would have had Batman do had he asked me. 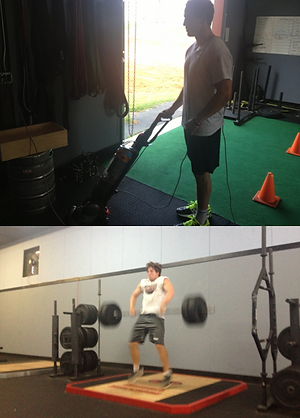 Fridays during summer are hard conditioning days for our college football players. We do short segments of multiple bouts of intense exercise, to simulate a series in a football game. The individual bouts of exercise are somewhere between 7 and 12 seconds and have about a rest period of 20-35 seconds in between exertions, which simulates an individual play. With this training structure in place, and with the knowledge that The Rock’s Hercules was coming out, we combined the two. 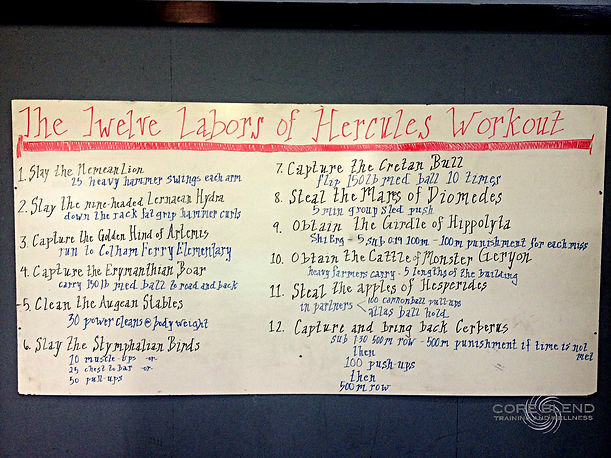 The Rock has just about universal approval ratings inside Core Blend, so we honored his film and the myth with this 12 Labors of Hercules Workout. In the Myth: To absolve mistakes in his past and to achieve immortality, Hercules was required to perform 12 labors (actually 10, then they decided that two didn’t count, but whatever, it’s 12 now). The first was slaying the Nemean Lion, a beast known to have an impenetrable hide. In the Core Blend Workout: We have a 30 pound hammer, fit for the demigod himself. 25 swings on each arm was enough to slay the beast and move on to the next round/labor. In the Myth: The Hydra was a beast bred to kill Hercules. It was poisonous, mean, and every time you cut off a head two grew in its place. In the Core Blend Workout: Two heads grow up every time you think you’ve beaten it? Sounds like a Down the Rack set of DB Curls. We attached fat grips to the 50, 40, 30, and 20 lb DB’s. As soon as you knocked out 10 Hammer Curls at one weight, you immediately grabbed the next pair. Not the most difficult labor, as everyone enjoys doing curls, but what good is a Hercules workout if you don’t walk away from it with a bicep pump? That’s a rhetorical question, but the answer is “no good”. In the Myth: After figuring out that Hercules is going to kill whatever beast you throw against him, they threw a different challenge at him. This deer-like creature can run faster than an arrow and Hercules had to chase it for a year to catch it. 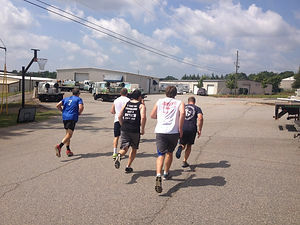 In the Core Blend Workout: No one volunteered to be chased away from the gym, and we didn’t have a year, so we went on a 1.5 mile run to a local elementary school and back. Noon in the Georgia summer is not the easiest time to run, but 12 minutes is a long way from a year. 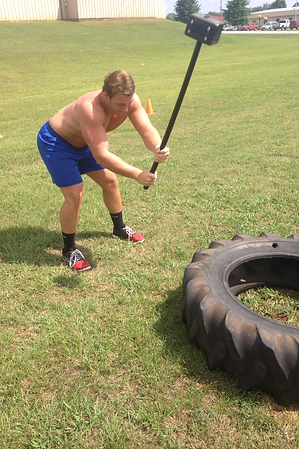 This completed the “warm-up” section of our 12 Labors Workout. Things got real after this. In the Myth: Hercules had to go really far away and capture a boar. Not that hard, I mean, it’s a big boar, and he’s already killed much worse. The difficult part of the labor was carrying it on his back until he got all the way back to Athens. 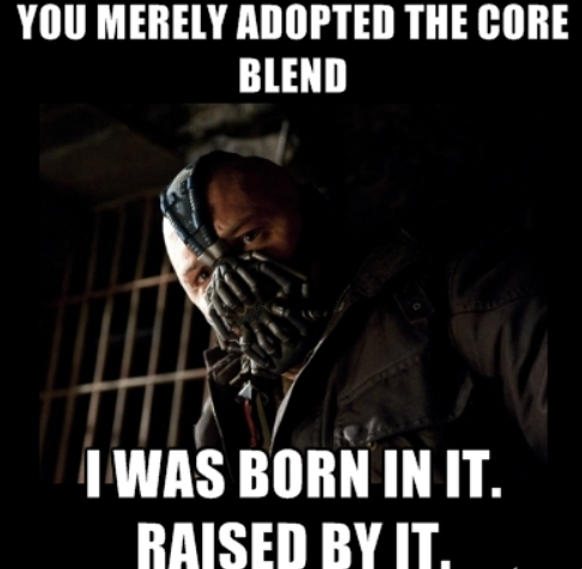 In the Core Blend Workout: We also have a burdensome beast to carry. 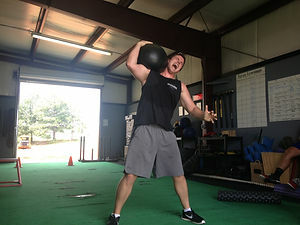 It’s a 150 lb medicine ball. We also have an Athens nearby. Our task for this round was to carry the 150 lb medicine ball from the gym to the road to Athens (about 200 meters away) and back to its resting place in the gym. Coated in sweat from the run, the ball struggled back, helping to simulate the fact that the boar was brought back alive. In the Myth: For his next task, Hercules was asked to clean out these stables that had a bunch of immortal livestock. This was supposed to be both impossible and mock Hercules, but he just diverted a river to run through the center of the stables and that cleaned everything up. In the Core Blend Workout: Though I had dreams of seeing a dozen guys start scrubbing the gym floors, that didn’t seem to fit, so instead we cleaned…our bodyweight. Everyone weighed in and then got to work with 30 cleans, broken up so that there were no ugly reps. One athlete was nursing a hamstring injury, so he did have to get out the vacuum for a couple of minutes, and then did 60 burpees to settle his debt for that labor. In the Myth: The Stymphalian Birds were big, had beaks made of bronze, and had a taste for man. Hercules just shot a few with his bow and arrow and the rest ran off (apparently they later meet up with Jason and the Argonauts, so maybe they just wanted an easy way to link the two stories). In the Core Blend Workout: The birds were up in the air, so to get close to them everyone had to grab a bar and start pulling. The options were 10 muscle-ups, 25 pull-ups where the chest hit the bar, or 50 pull-ups where only the chin got over the bar. The muscle-up was the most popular option as people were tiring and would take 10 reps over 25 or 50 even if they were harder. 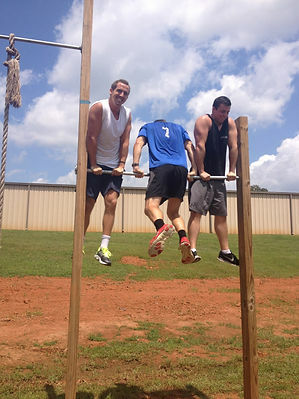 We also had three guys do a muscle up at the same time which was cool. In the Myth: I guess by this point they were just getting lazy, because this is pretty much a rehash of the boar story. Hercules has to go somewhere far away. Capture a big animal and bring it back. The story focuses more on the fight than with the boar, but seemed a little repetitive. In the Core Blend Workout: Since he had to wrestle the bull, we wrestled with the 150 lb medicine ball again.10 flips over the shoulder and the “bull” was considered conquered. In the Myth: Hercules had to go after four horses that liked to eat men. No big deal. He fed them their old owner and while they were fat and satisfied took the opportunity to go ahead the seal their mouths shut. Then they were just regular horses I guess. In the Core Blend Workout: I don’t imagine that he would have wanted to ride them. They may have their mouths shut, but a horse that likes to eat people doesn’t sound like a smooth ride. We put farmer’s carries into this spot to simulate dragging the horses on foot back to Athens. We loaded up the trap bar with the 100 pound plates and carried it the length of the building five times. In the Myth: This one was actually pretty easy. Hercules is a charming guy and the Amazonian warriors just gave him the belt. As he was leaving though some rumors were spread that he was a bad guy, so they chased after him. 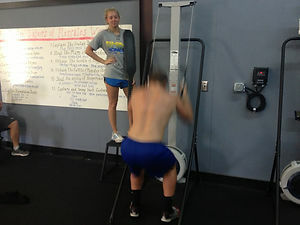 In the Core Blend Workout: We got a few of the girls to do a 100 meter sprint on the Ski Erg and post their best time. The fastest time was 19 seconds, so all of the participants had to do 5 100 meter sprints in under 19 seconds each. For every sprint that was over that time, an extra 100m sprint was added to their workout. In the Myth: Hercules had to go to a far away land and steal some cattle from a monster. He killed the monster and then started walking back with the cattle. He ran into some trouble on the way, but it sounded like pretty normal trouble for a cattle herder. 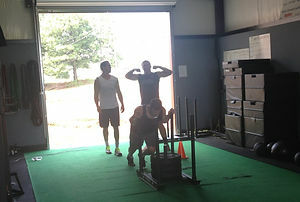 In the Core Blend Workout: We loaded up a heavy sled and pushed it for 5 minutes. It seemed like an appropriate way to mimic pushing cattle towards where you want them to go when they’re stubborn. In the Myth: Hercules had to go get some golden apples that were sacred. For some reason (it varies depending on where you read) he couldn’t get them himself, so he enlisted the help of Atlas. Atlas agreed to help him, but Hercules had to hold up the heavens while he was away. Atlas returned with the apples and told Hercules that he wasn’t interested in taking the heavens back from him. Hercules agreed, then tricked Atlas into taking it back for a moment while he adjusted his cloak. As Atlas took back the load, Hercules grabbed the apples and walked away. 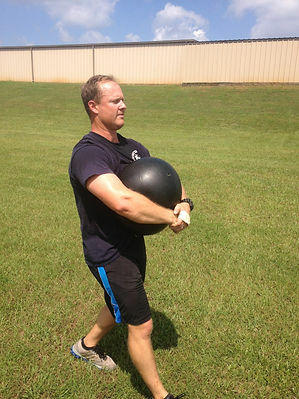 In the Core Blend Workout: Two guys are stuck holding the heavy medicine balls (150 and 100 pounds) while others start knocking out 100 cannonball grip pull-ups. Reps only count on the pull-ups while the balls are off the ground. The cannonballs are kind of apple shaped, and holding up the heavy medicine balls are kind of like holding up the heavens. This is probably the best interpretation we’ve done of a labor. In the Myth: For his final labor Hercules had to go across the river styx into the underworld. Once there, he had to battle the three headed monster using only his bare hands and then take it back across the river and out of the underworld. 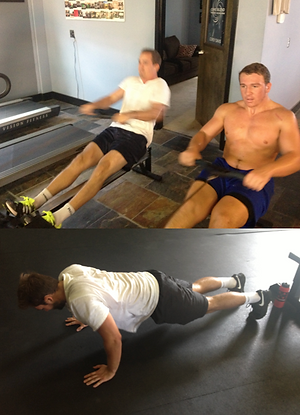 In the Core Blend Workout: To cross the river styx, Hercules had to hop on a row boat and go from shore to shore. In some interpretations, the river was a dangerous area, but regardless of how you see the river, I can’t imagine it was a place you wanted to spend a lot of time. For our purposes, the 12th labor started with a 500 meter row at sub 1:30 pace. This isn’t easy for a fresh athlete, and after doing everything else throughout the day it was very daunting. After finishing the quick row, you had to do 100 push-ups (to tame the beast) and then finish with a second 500 row at whatever pace seemed suitable. This final cool down row was a time of celebration, for all the tasks had been completed. If someone didn’t complete the first row in under 90 seconds, they had an immediate 500 meter punishment row as soon as they finished the first set. 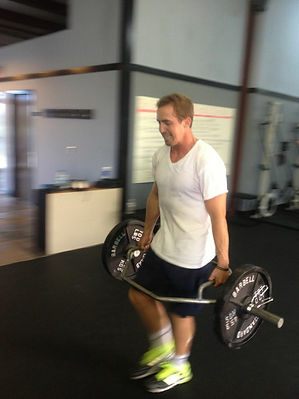 Core Blend Training is a powerlifting, athlete training, Olympic weightlifting Gym, owned and operated by Corey Davis. Voted Best Gym and Best Weightloss Program in Athens in 2013.